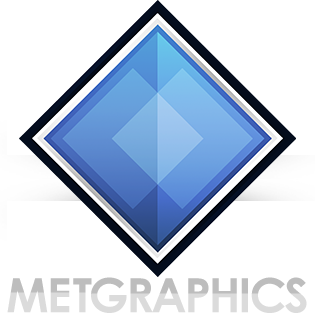 Forecast templates have been the staple product from MetGraphics since day one, with each design using the latest techniques and design styles at the time of release to keep customers ahead of the curve with the finest looking designs. 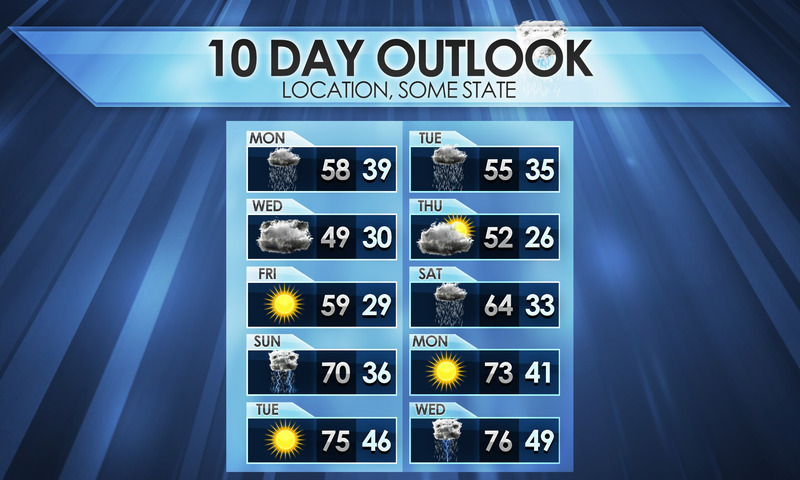 Our forecast templates are designed in Photoshop, and come packed with a fully layered and editable Photoshop document; while for those who choose to work and design in other programs such as PowerPoint, blank .PNG & .JPEG images are included for you to import in and use just as well as you would in Photoshop. 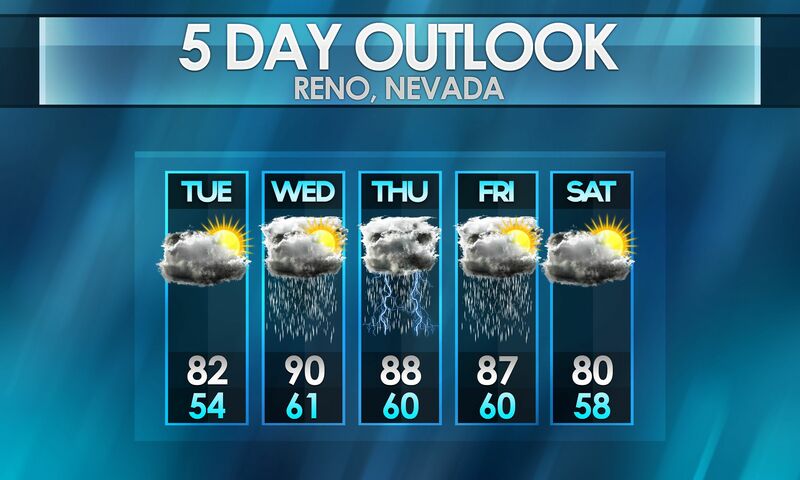 MetGraphics’ forecast templates come with the upper third and background baked right in, no additional graphical elements needed aside from forecast icons (which do come separate). 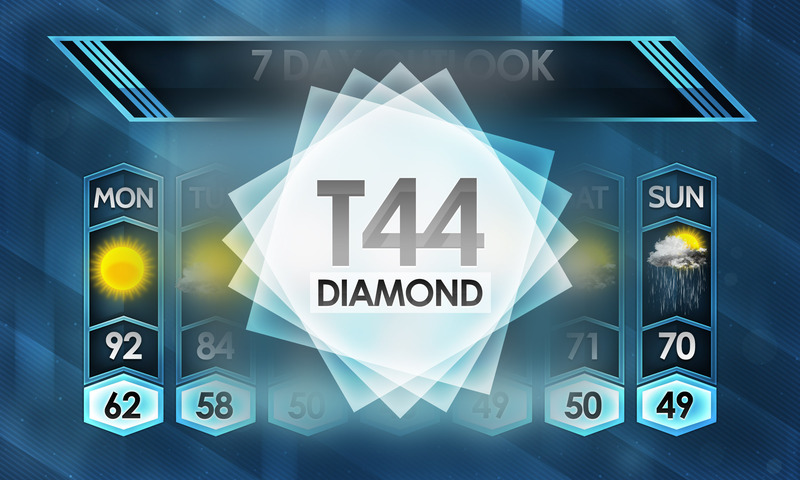 The T-series is MetGraphics’ latest and most up-to-date generation of forecast templates using currently trending, modern design styles to create elegant template designs. 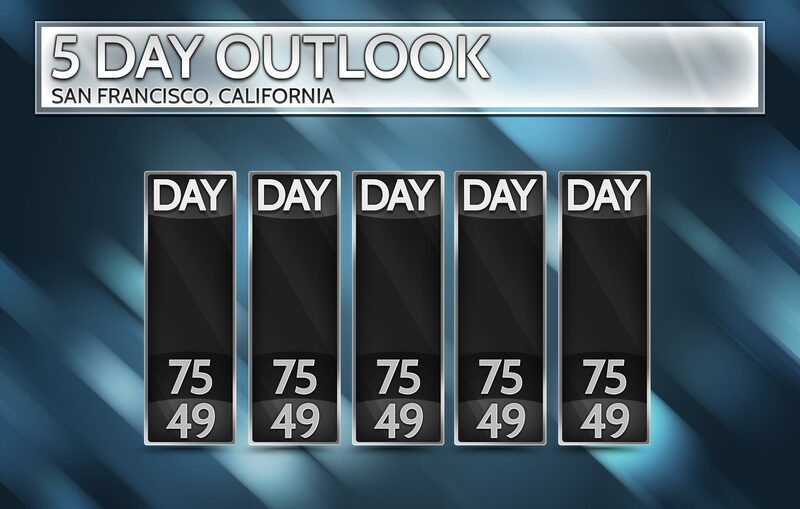 A no-nonsense forecast template that’ll fit most of anyone’s needs. This regional forecast template includes both 3 and 4 city options depending on the variety or size of the region you’d like to forecast for. 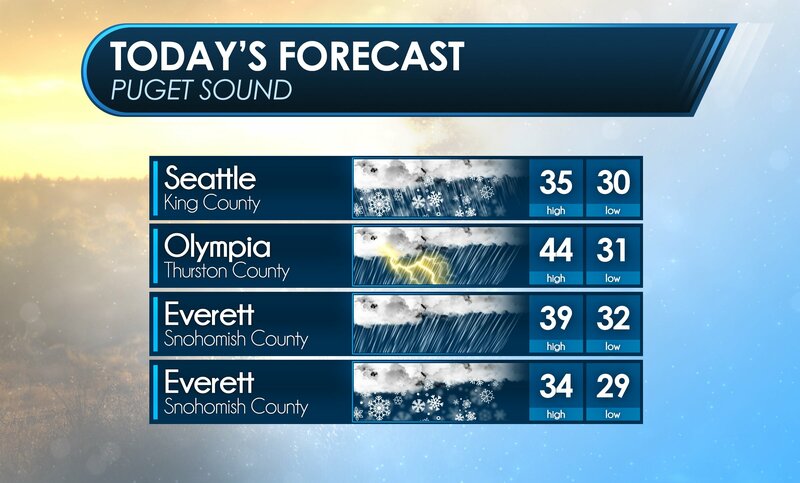 Being the 50th forecast template under MetGraphics.net’s belt, this one features nostalgic but fresh design and offers two ways to display your forecast: traditionally with icons, or using IntraWx tiles. Utilizing MetGraphics’ IntraWx forecast style, this day & night forecast template allows you to forecast an entire days conditions with style. In T49: Rebound, a return to the more traditional style in forecast templates has returned with rigid content bars and a simple layout with a modern twist. The Coast template introduces a sleek and minimalist design style, with sanded edges and a unique use of colors across the board. T47: “Coast” is a sleek, modern template bringing together simple lines with bold colors. 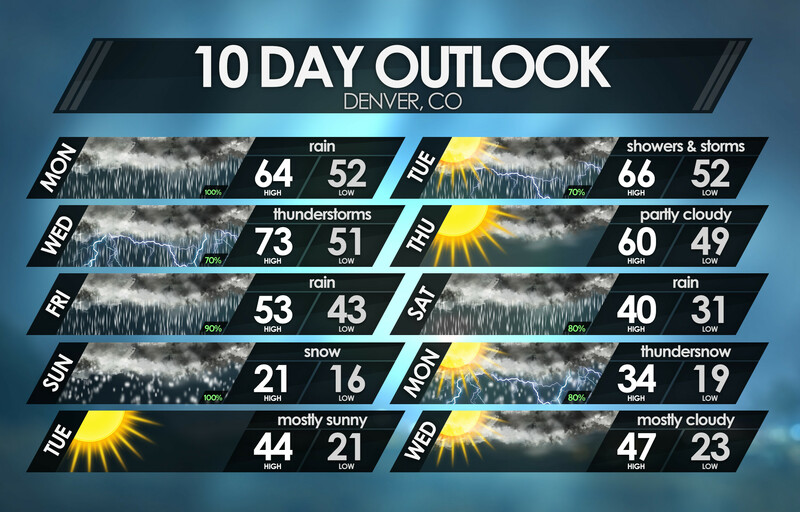 T46: IntraWx is an all-in-one forecast template that requires no external weather icons, by the magic of featuring its own internal weather elements within the sleek forecast tiles. T45 “Sierra” features dark primary tiles, a dark upper third, and brighter low bars to draw some contrast between the primary tiles & the highs. 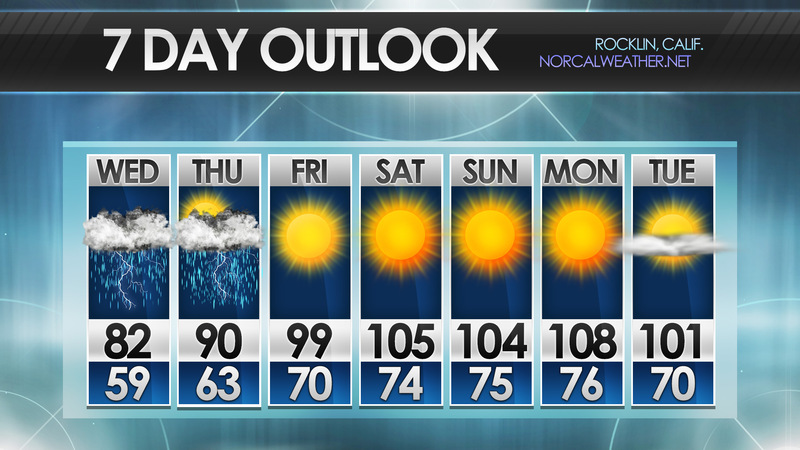 A high resolution, modern & sleek forecast template with a minimalistic upper third, separated low containers, reflected-edges on the main tiles for the beginning and end days, and indentations to fit the lows in-between the main tiles. T43 features forecast tiles that pull traits from a variety of designs over the years, with a modern flair and many tweaks made to create a natural flow between tiles. Simplex, a package of sleekly designed horizontal forecast templates, includes six variations that include singular day forecasts, day period forecasts, and typical day-to-day forecasts. 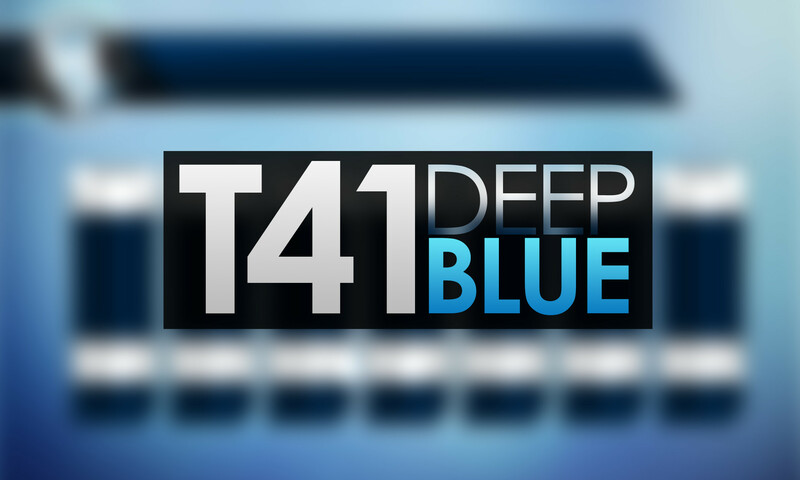 T41 features dark blue accent colors with a brigher blue background to separate the tiles & upper third from it and create good, but not overpowering contrast. This second take on a horizontal forecast template features a new innovative styling idea that features weather elements being included in-tile, meaning there’s no need for external weather icons! These templates are neither old (legacy) or T-series templates. These are specialized. A staple in the forecasting world, this template will help your viewers quickly determine how to prepare themselves or their little ones for the day ahead. These templates that follow are from the early years of MetGraphics’, and created the initial style MetGraphics became known for. In some ways it’s somewhat aged, which is why the T-Series has taken over — however some of these classic templates have held up perfectly over the years and remain viable templates. 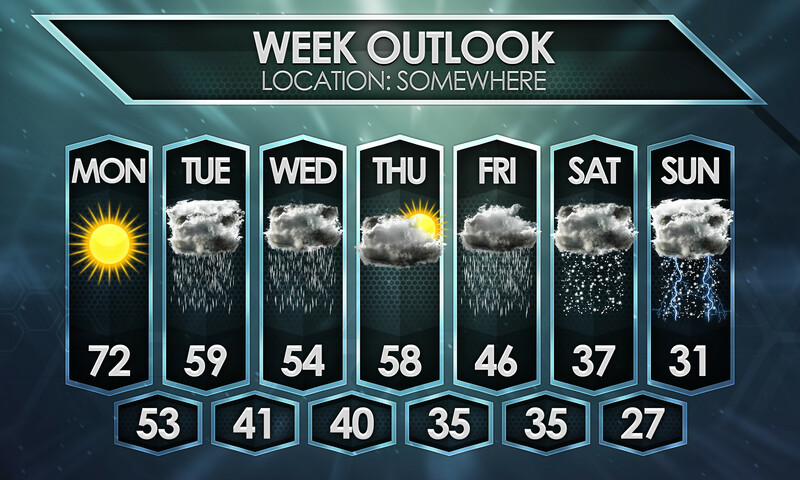 A modern, clean forecast template with a sleek upper third and tiles. 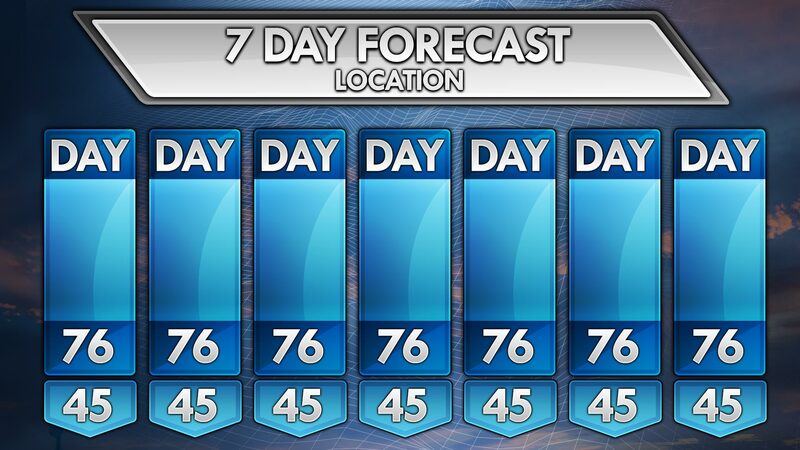 A colorful, modern, & sleek forecast template. Includes two upper-third variations, as well as two forecast tile variations, essentially giving you two forecast templates in one. Yet another forecast template to add to the ever-growing collection, number 26 features a sleek upper third, high contrast forecast tiles, and a bright and minimal background. This template is a sleek and complete redesign of an older template. The background is nifty but not overpowering to draw attention away from the tiles, and the upper third also draws fairly equal attention. There’s also a fair amount of extra room to get a logo embedded in the upper third. What was going to be a redesign of an old template, is now basically a brand new template with little to no resemblance to the old one made in 2012. Include both 5 and 7 day format variations, with and without background (if you want to use your own custom backgrounds), along with the upper third and the background included for use in other projects. 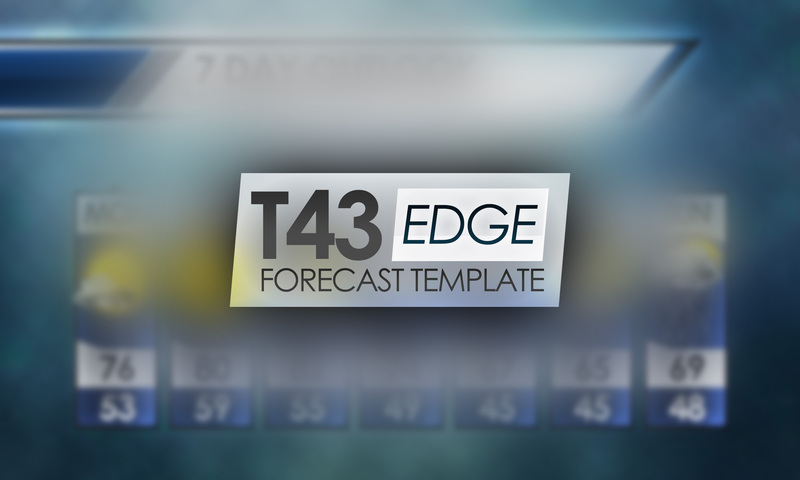 A sleek, modern forecast template including blank PNGs and one main editable PSD. 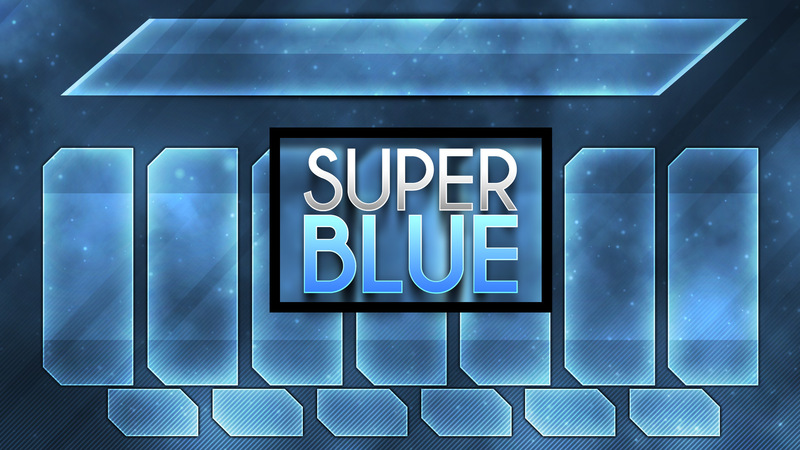 Includes both 5 and 7 day tiles, with a couple background variations and a transparent background so you can implement your own background or image. 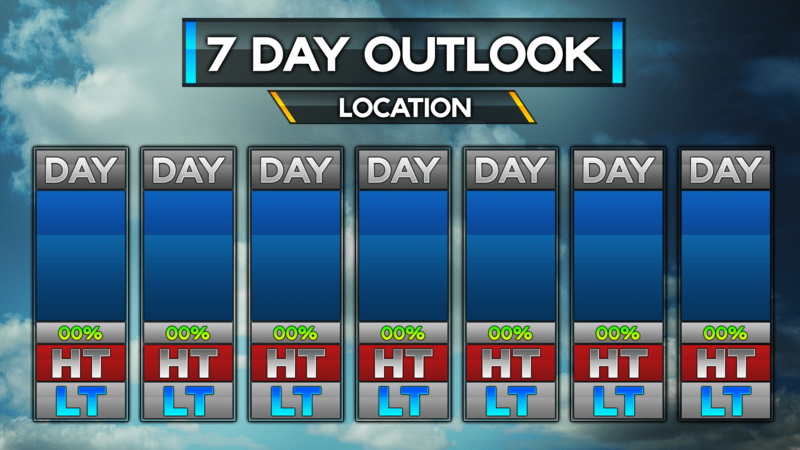 Very colorful, high-contrast 5/7 day forecast templates, including backgrounds and transparent backgrounds that allow you to place your own background behind the template. 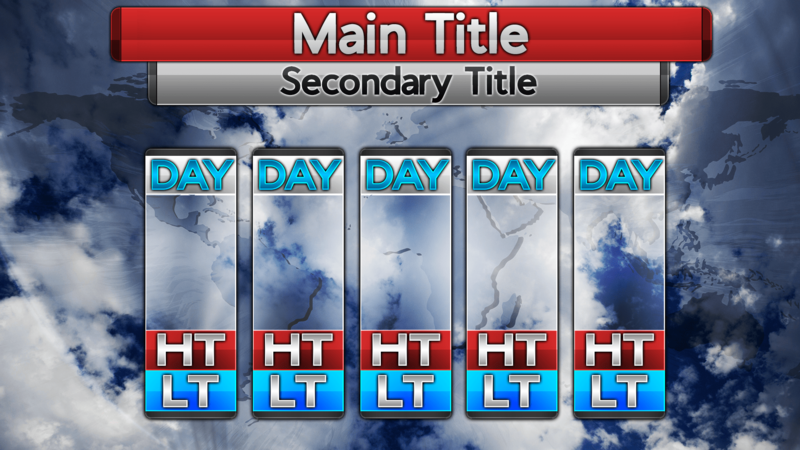 Including tall forecast tiles, and an elegant upper thirds, this template will really catch a viewers eye. Swap out the background for a personalized look as well! 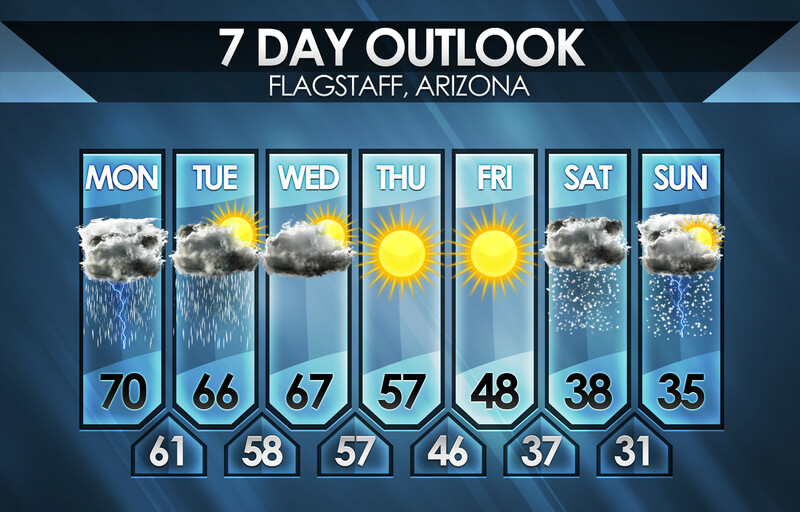 For more older templates, check out the legacy forecast templates page here.